I'll check the Justy when I get back to UK this week - I still have my late uncle's sales books. He recorded the reg number of every car he sold. I expect your right though regarding Willows.I think the tiredness is getting to me - I have just taken a tuc-tuc from one side of Chennai to the other. Maybe it is the hideous pollution playing with my mind, or maybe I'm just hallucinating in the self-consciousness of being the only 'nana who wears a suit when its 38 degrees. I swear I just saw an Austin Montego. Did these get built in India?Couple of Germans out here with me - one has the latest copy of YoungTimers. There is a great article on the 929 fastback. Did UK get these at any time? That's my kind of motor. 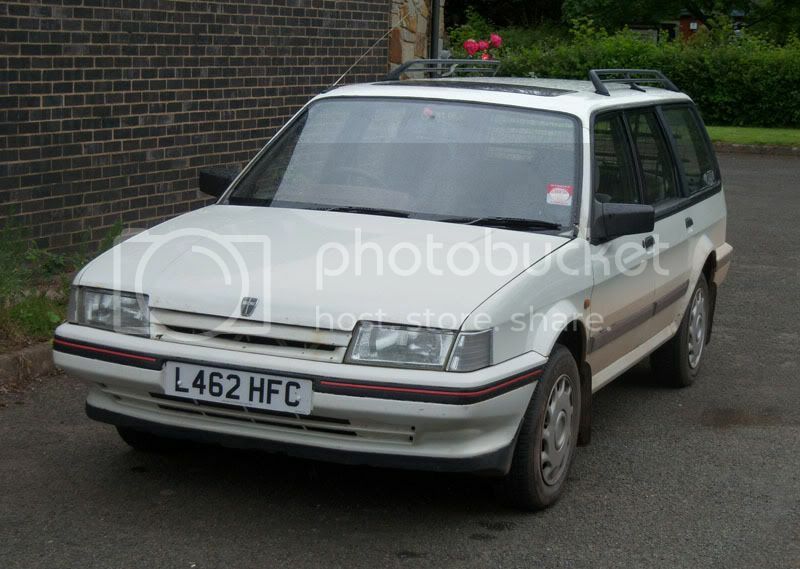 I remember a reference to Montegos being built in India in a 1996/97 newspaper article about the-then leader of the Labour Party and PM in waiting Mr T Blair owning an H reg estate with a dented wing and missing hub cap. 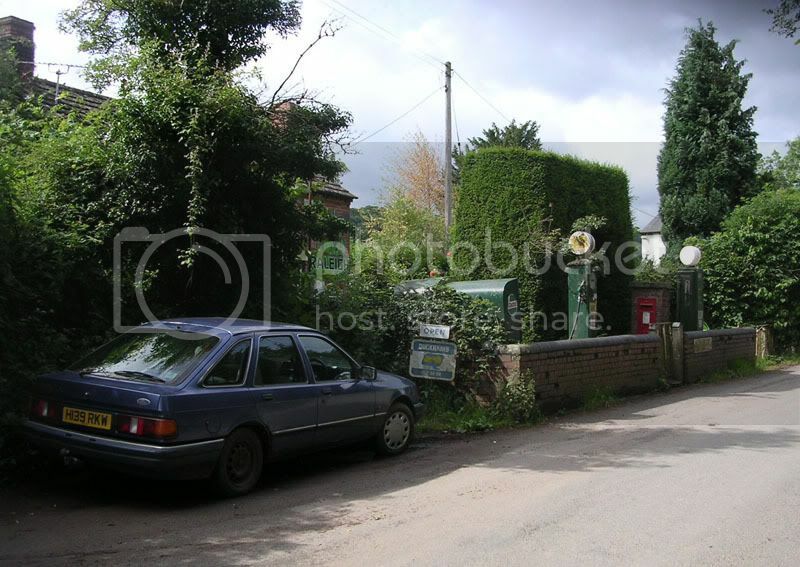 Apparently, Tony, Cherie and the 3 Blairlets used to go to church in it every Sunday - innocent days!So there is documentary evidence that the Montego was built in India, I 'm sure for a limited time only - perhaps by the same people who did the SD1? 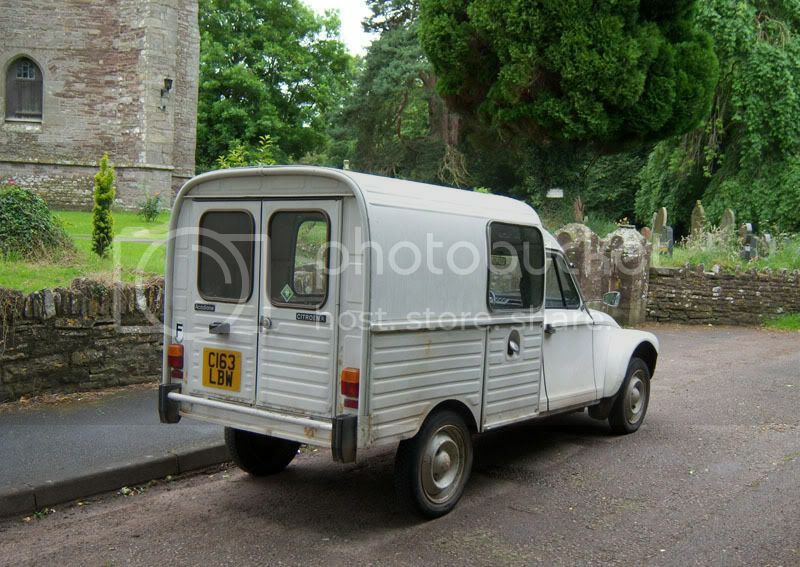 I think the Indian 'Tegos were built by a company called Sipani? 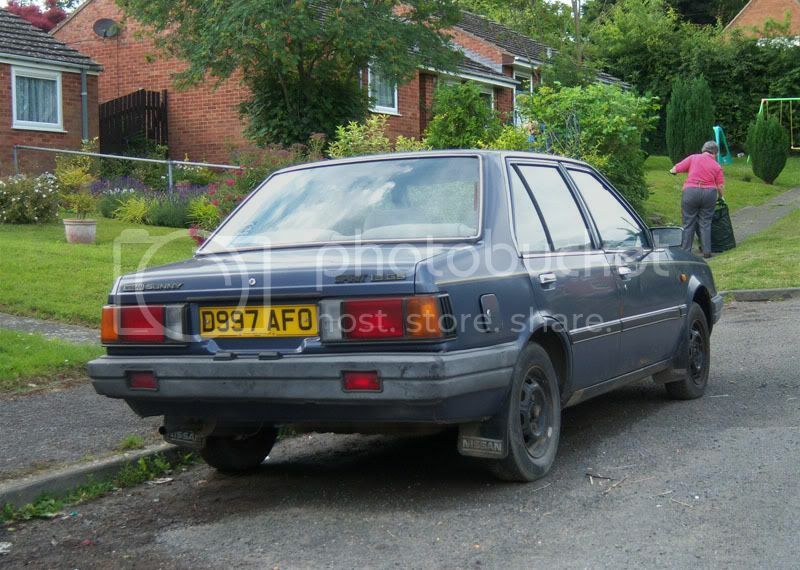 I think Rimmer Bros. recently bought & imported a large collection of SD1 body panels from said people. Quite a haul apparently!A Montego diesel saloon was featured along with an SD1 in ClarksonÃ¢â‚¬â„¢s Motorworld India. Had a quick trawl of youtube but it seems the video has been pulled. I know Mr_Bo11ox loves these, but this one seems to have a different owner to the usual line-dancer. 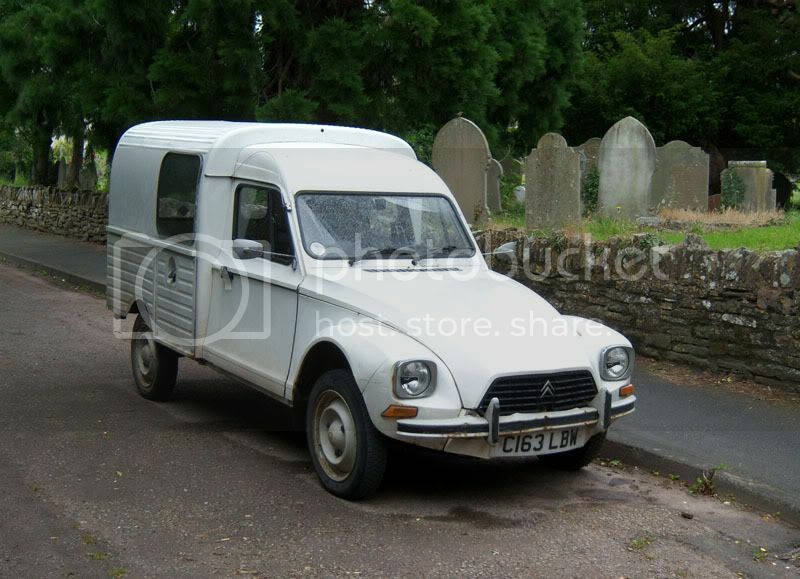 The first shot shows this day van in all it's haulking Yankiness glory, yet the shot with the LT in front of it actually diminishes it somewhat, the VW actually makes it suddenly not look so impressive! 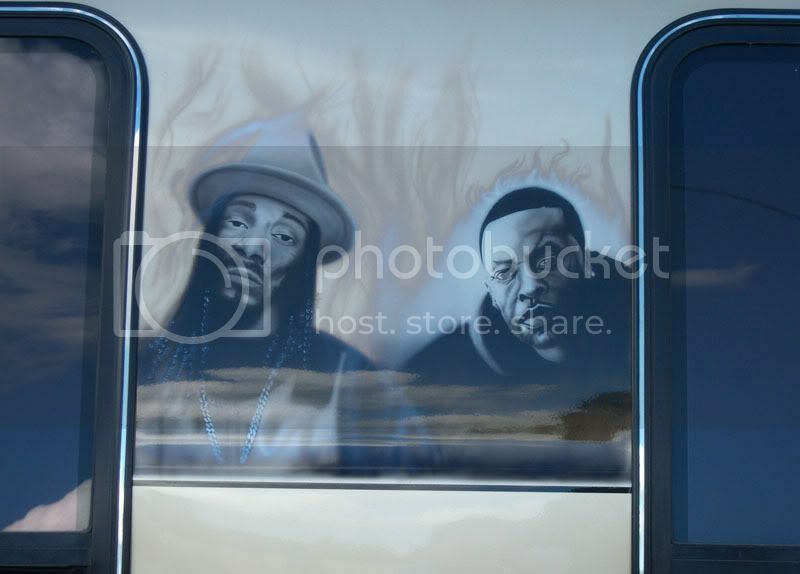 Is that Snoop Dog and .......?........err.....Jay-Z ? Grotty rear arch but that's lovely, I've never seen a Justy Mk1 in real life before - I'd love to own one, even just for its slightly zany button-laden instrument panel. First good spot on the trip there, 2000GLS auto with a few too many bits on it and oversprayed wheels. 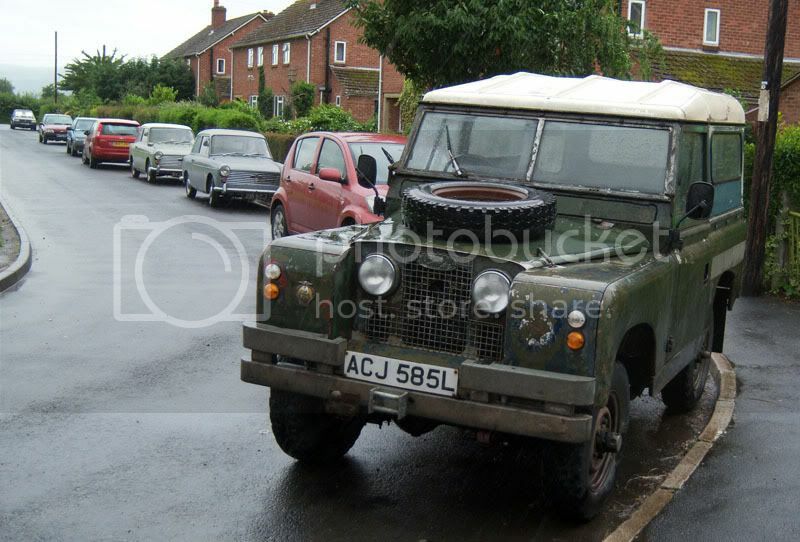 Ã‚Â£695, at a garage in St Neots. It was there when I came back to, maybe I'll see it again when going to Billing soon? 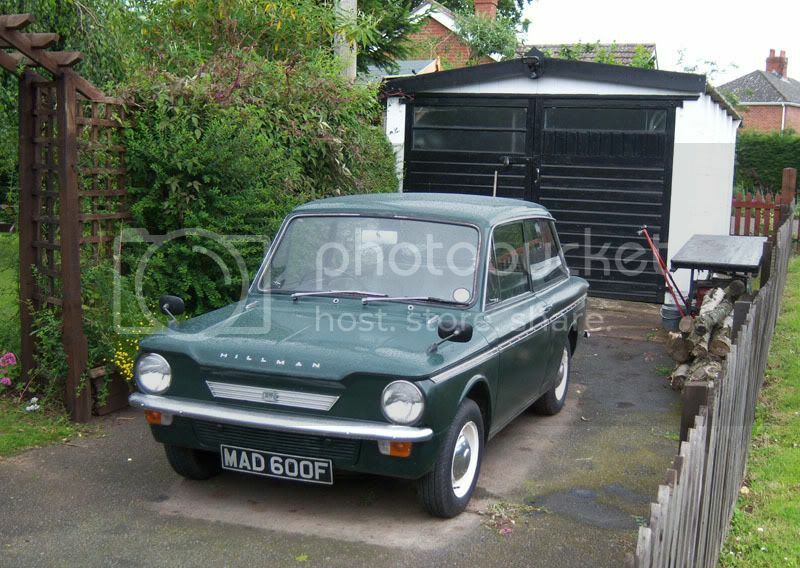 Imp #1, somewhere in Northants. At a National Trust property, even has the NT sticker so they're obviously keen! Dark blue Nissan on D...AFO registration #1. Rather saucy wheels on this, yards down the road from the Cherry. 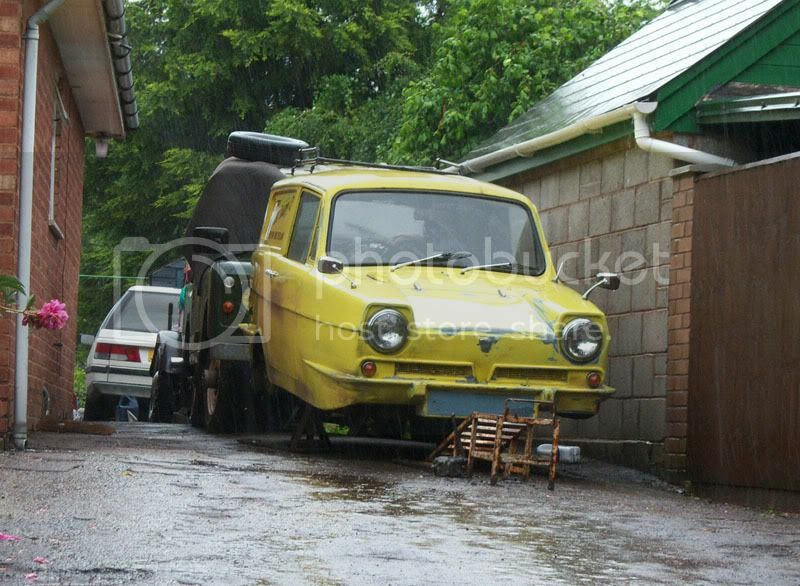 Refreshingly free of roofrack, false patina etc. 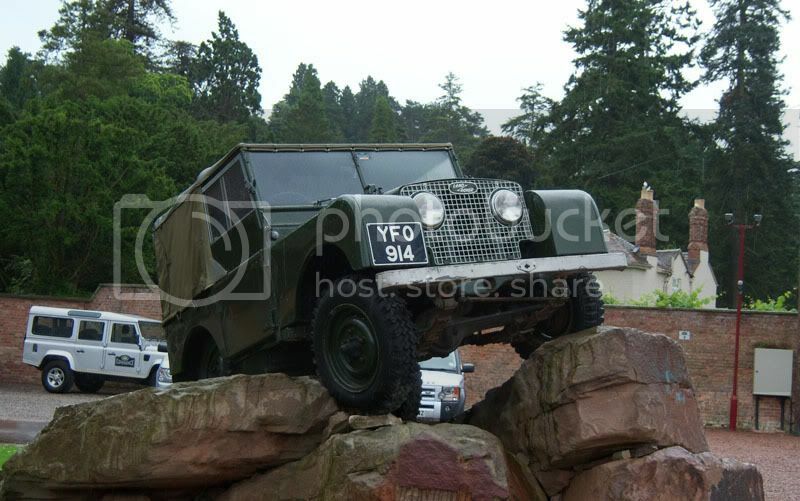 At Eastnor Castle, the Land Rover Driving Experience. Not open when we visited, do they do public rides anyway or is it just a customer/corporate thing? Dark blue Nissan on D...AFO registration #2. Haven't yet checked to see if any of the cars between these two still survive. Presumably this is a local number? 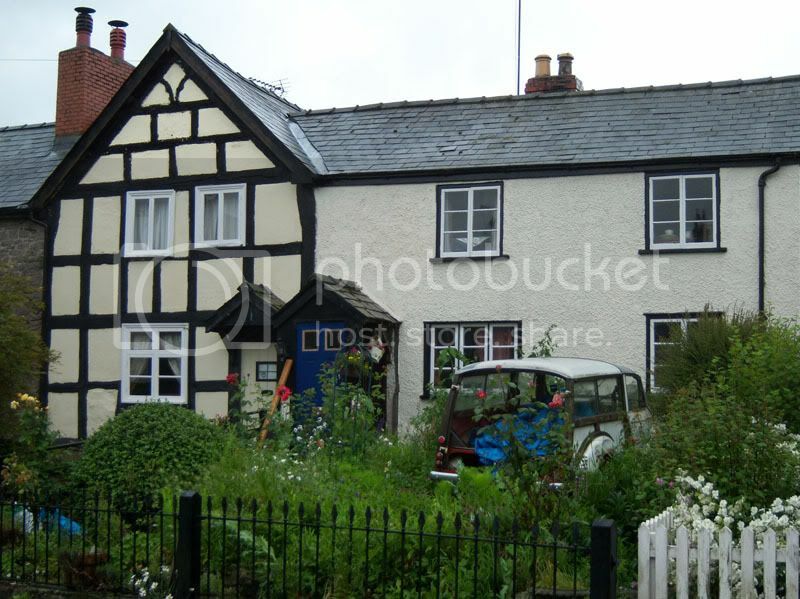 Timber-framed house and decrepit timber-framed Minor made a neat composition I thought. Jolly wet on this day. Or this. Pepperpot alloys on non-XR Fiestas never look right somehow. Ooh, my sides. Even saw it on the same day as #1. 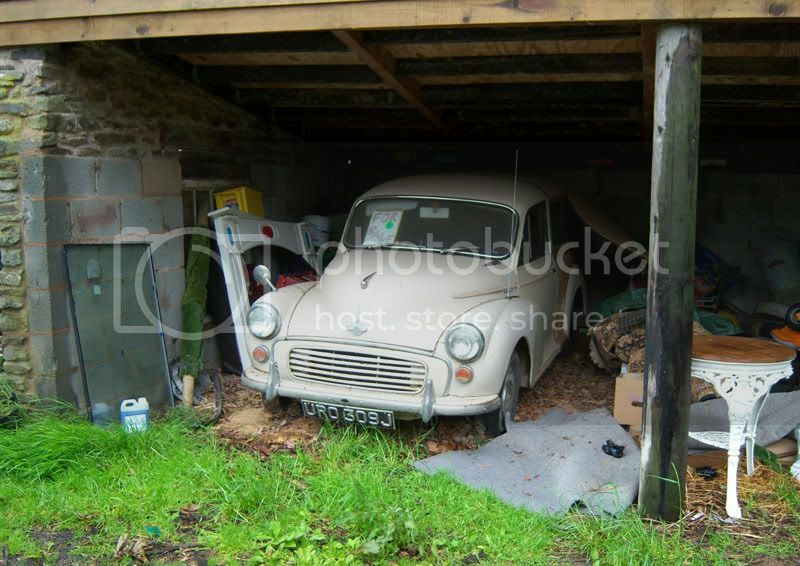 Barn find. For sale if anyone's interested. Also saw a very tidy one a couple of times. Keef will love these! 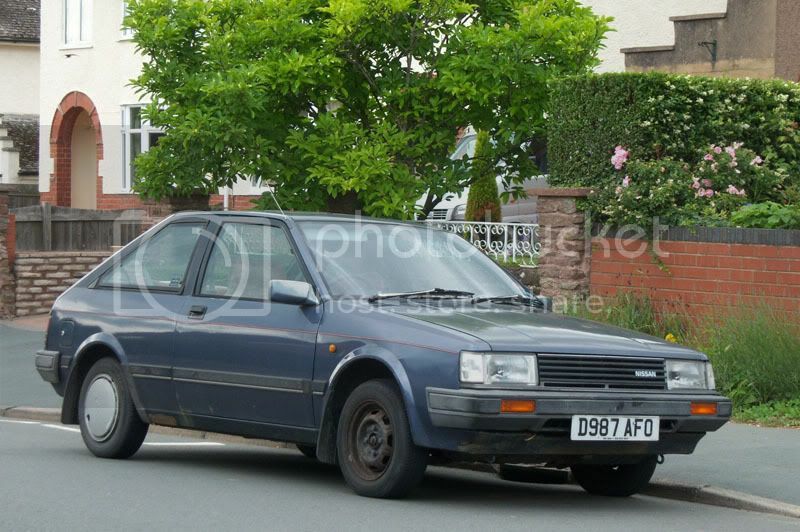 L-reg and that style front don;t go together do they? Presumably not just coincidence, much as I'd like to think so. We spent a lot of time splashing through this stuff. Crazy wheels on this wonderfully tatty Spitfire. Banded steels with small spokes welded in. Heard this before I saw it, actually on the move here disappearing into a gateway. Lots of slightly newer Subarus around, I imagine the old ones were once popular but rotted away now I guess? This was a beast! 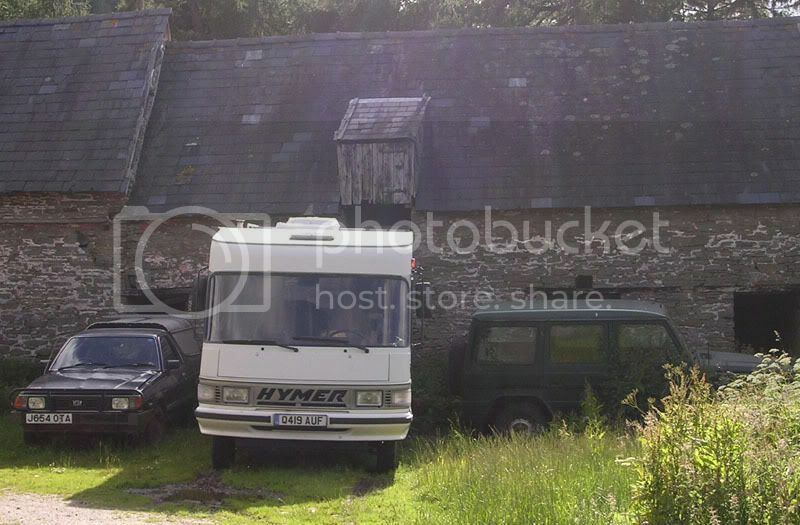 LHD, 6x6 drive? 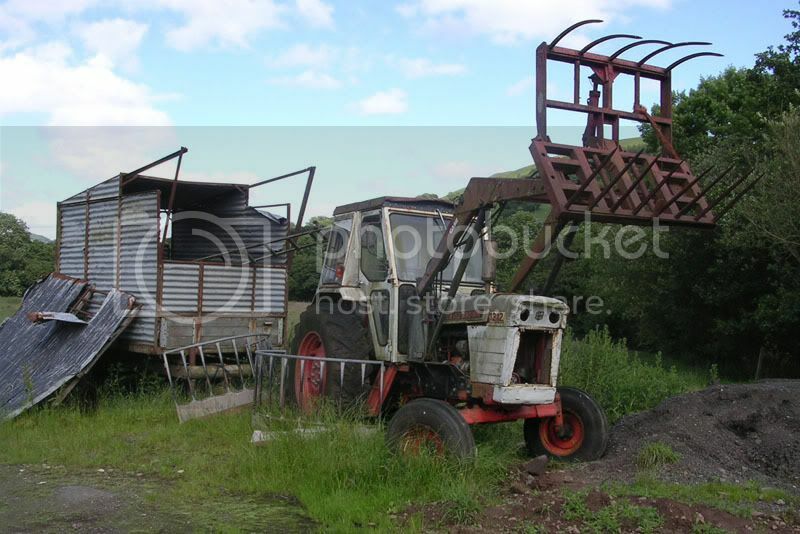 Haven't seen a Magirus Deutz of any sort for ages, what sort of age would this be? 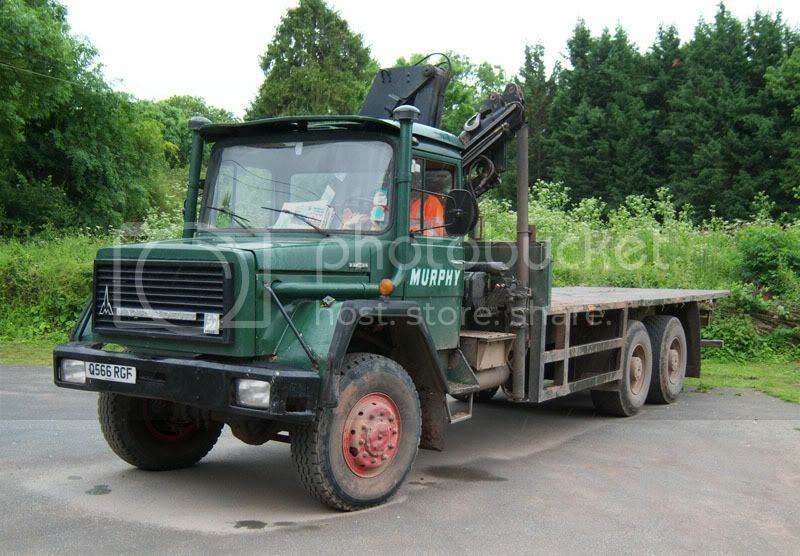 Saw it driving round a few times, Murphy had some odd stuff like 4wd Spinters (I think) and Unimogs trundling around on the big 4' gas pipeline they're laying, which I think they talked about on Coast only last week. Not what I expected to see. This in the same village as the truck above plus a few of the following. This was next to it! Maestro on a V, amazing. One of those UK-built CKD kits I imagine? Imp #2. Nice plate, can't help think a Golf person would like it (or MAD601F even more so). 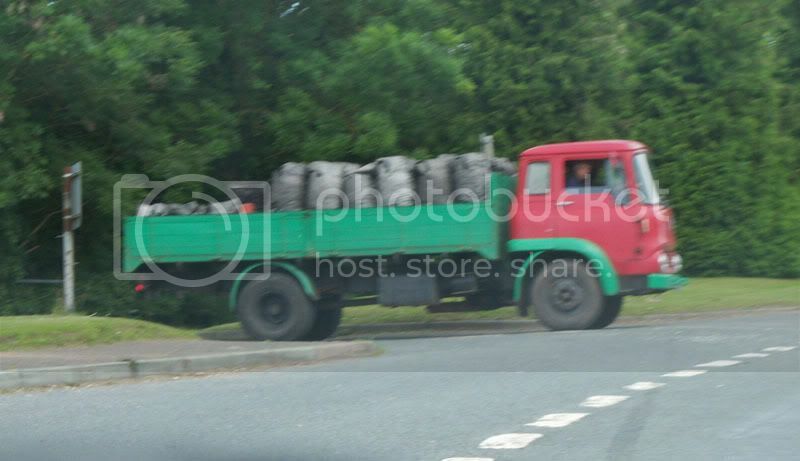 TK as a coal lorry, classic. Whereabouts is the Cavalier? Or maybe you shouldn't tell me for the sake of my bank balance. I'd be tempted to go for a look at least. On the spurious excuse of "just popping to B&Q dear". 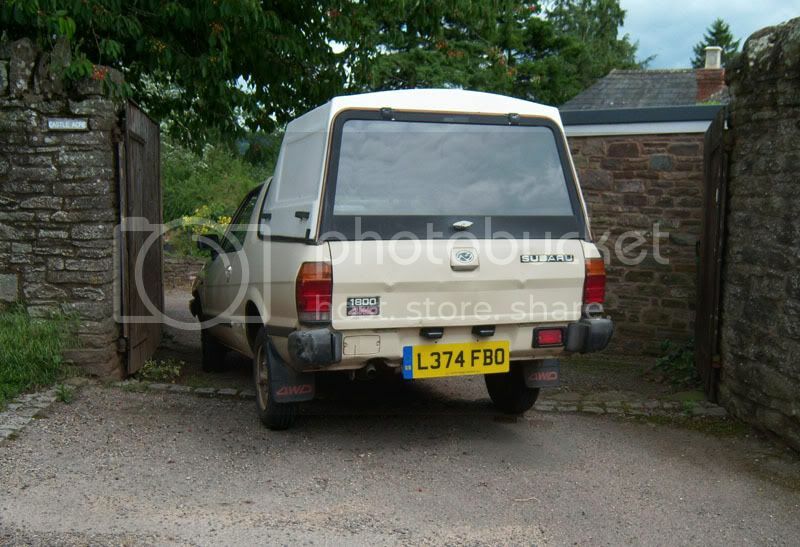 And no, the land-rover is not correct for that registration. A 73 L should be a series III. I had one of those, of that age. It appears to be a II or early IIA (late IIA's got the lamps in the wings, but a slightly different grille to the III). 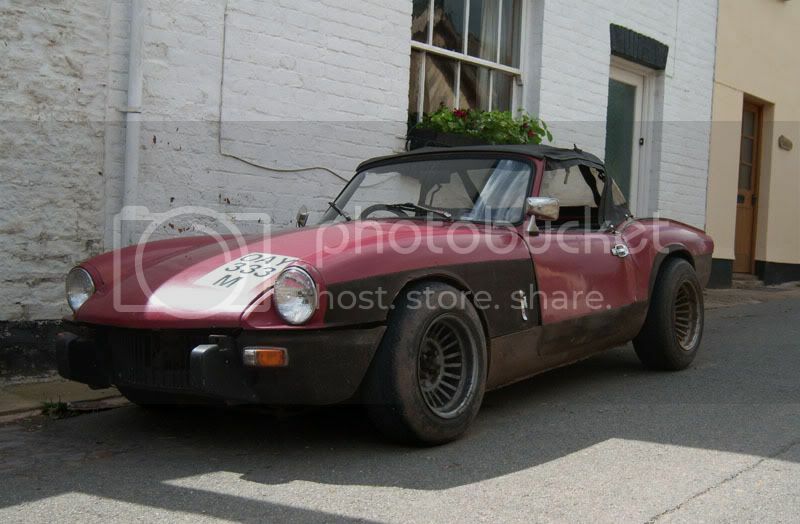 Bear in mind though that my old IIA was on a 77 R, 9 years after it was made. 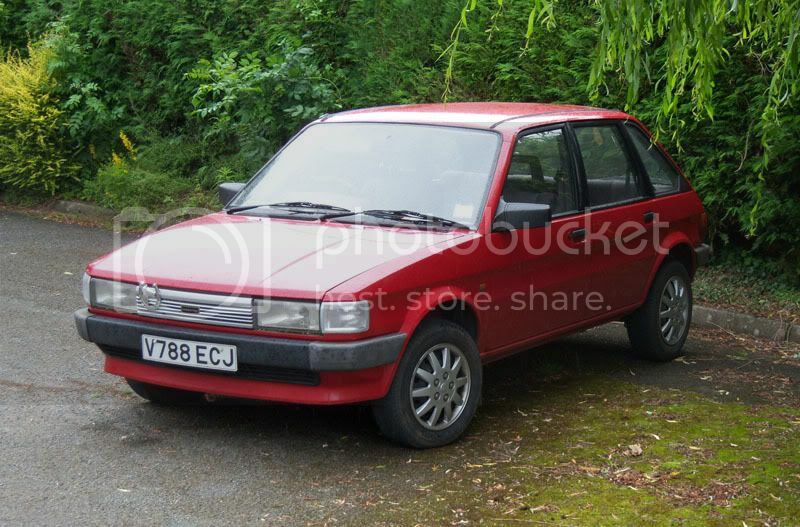 Also, are the wheels on the Spit alloy Turbo Vecs or similar? 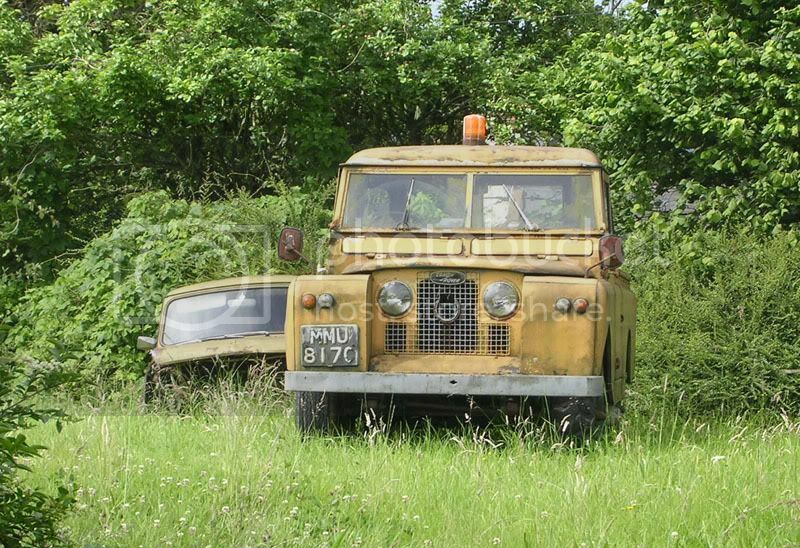 The Land Rover is ex MOD 2a, recognisable by the vertical set of the side/indicator lamps. Most likely 12 volt. Built between September 1961 and March 1963, due to the chrome rings around the headlamps, aperture for bonnet release (not clips on the sides) and square profile (non galved front lip) apron panel between the wings, and the short welded bulkhead vent flap hinges. It's an A suffix 241 prefix chassis, the first of the type. 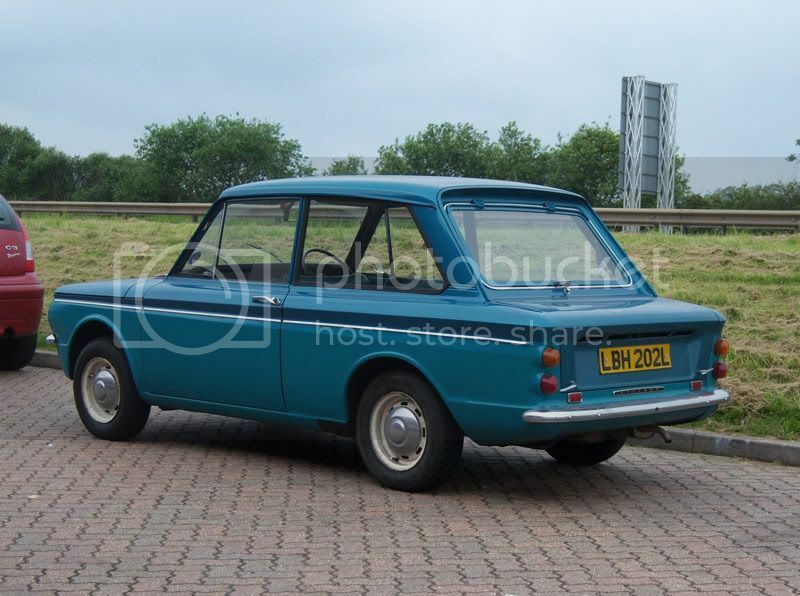 Series 2s had a 1 as the first figure of the chassis number, and the fourth digit denoted the model year. 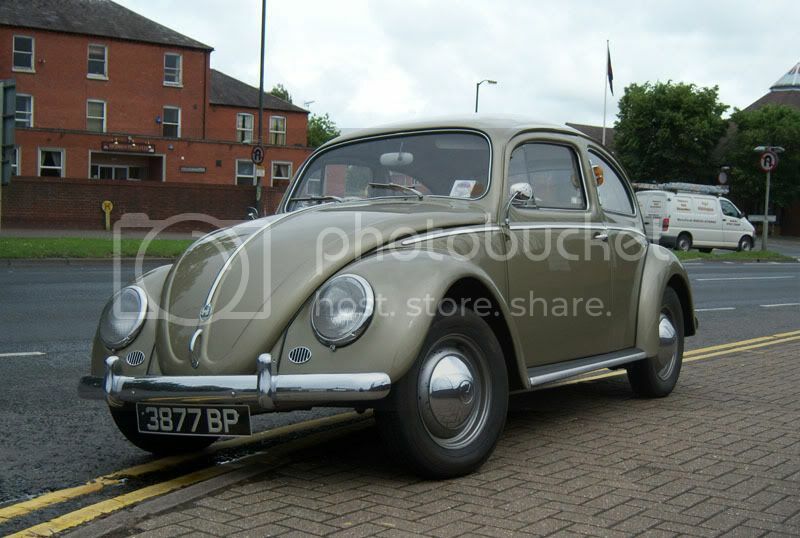 (which ran September to August)Hope all this helps.... My 1961 109 has the same treatment and is 1973 L reg. Great for no seatbelts and plod scratching their heads.............That and the fuel fillers being under the seats...one each side. Makes the pump jockeys scream as you open the door and pour petrol in! 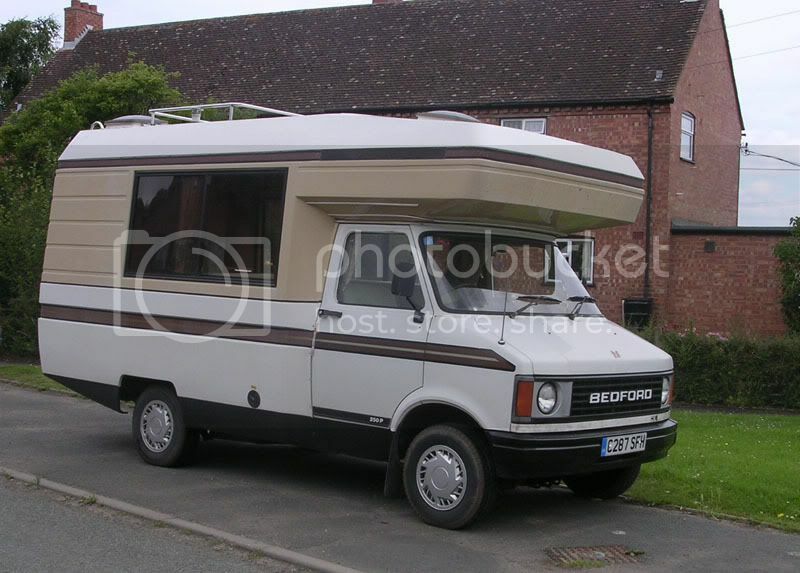 Saw several CFs around, but only one pre-Mk3 Transit. 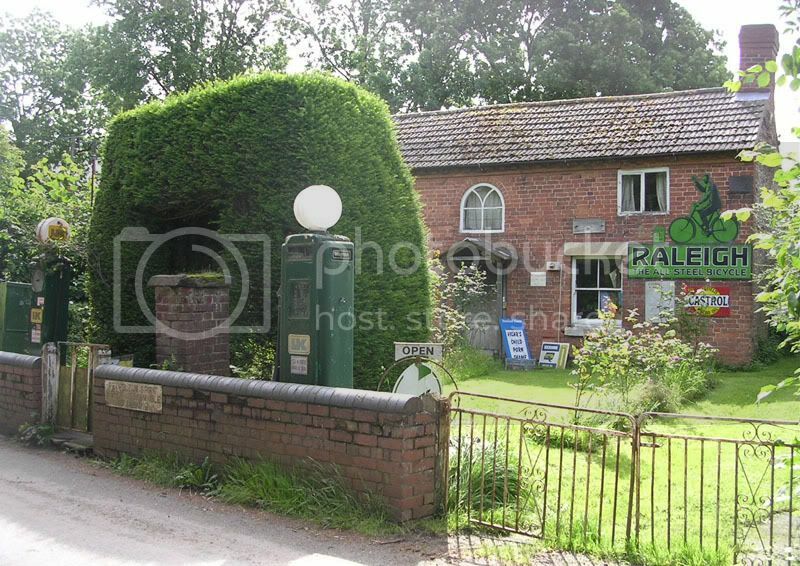 Perfect, exactly what I want to find when trundling round rural lanes. I proclaimed this my spot of the week. I think that's a Sigma at the back. Old bloke apparently had a few Chevettes around the place, according to a friendly neighbour, but had been slowly getting rid. I like this picture. 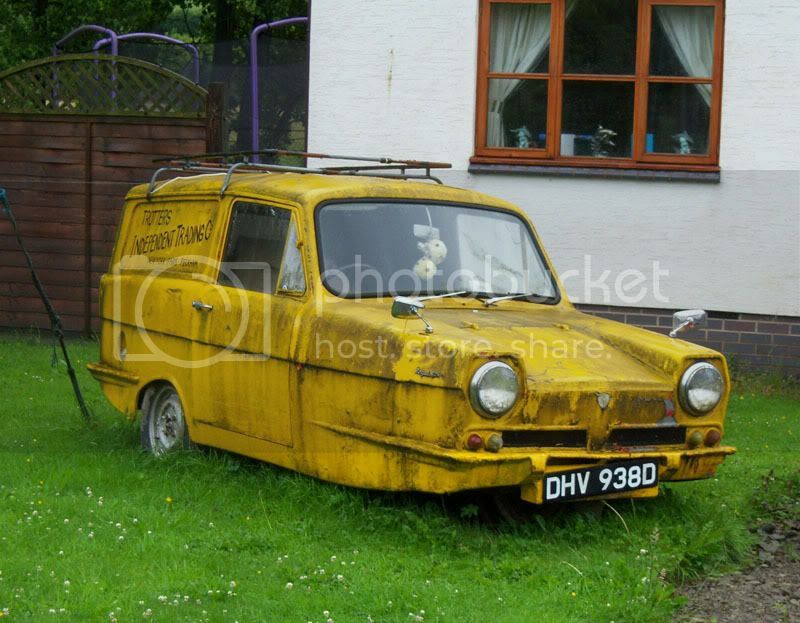 Saw a similar one at a garage nearby, also yellow, LWB and once used for recovery duties. Look, that's a hill in the background! Not used to them, it's Epynt actually. 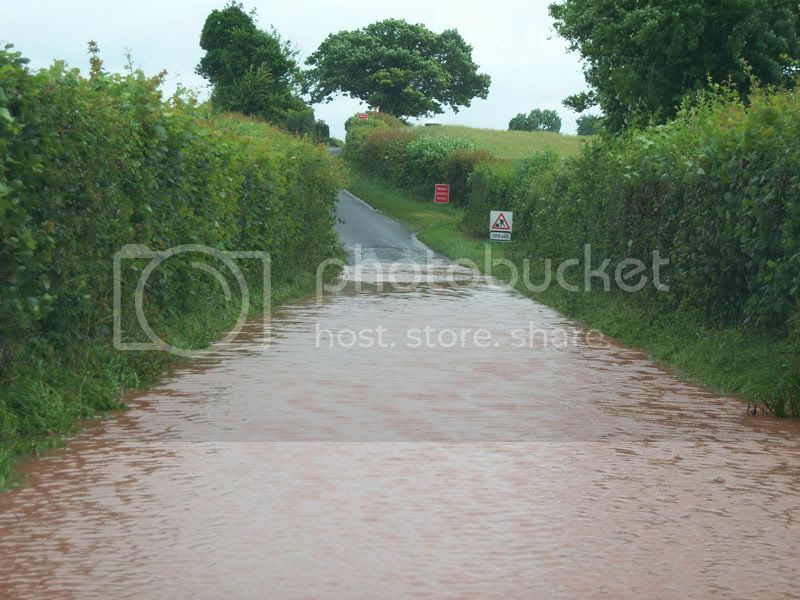 What we drove about in. Not shite yet, still only got 47k on the clock. Performed faultlessly as usual. The only other MV I saw, plus a G-Wagen. Did also see a Hummer H1, possibly the most useless vehicle I can imagine on the local narrow roads. Ooh, nearly forgot these. Something makes me think this place still operates! 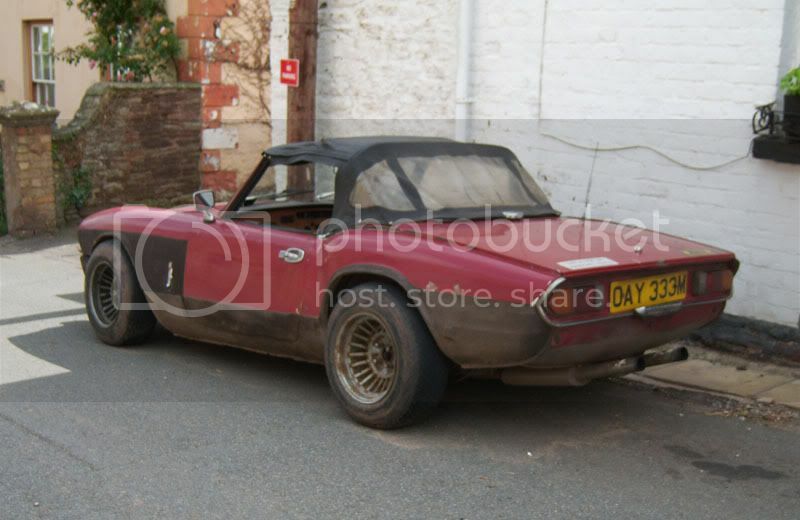 Summary: I like Herefordshire a lot. Seen on the way home, I like the manic quality Mrs SL got here. Saw another red Acclaim in Leamington (where there was a surprising amount of old stuff). 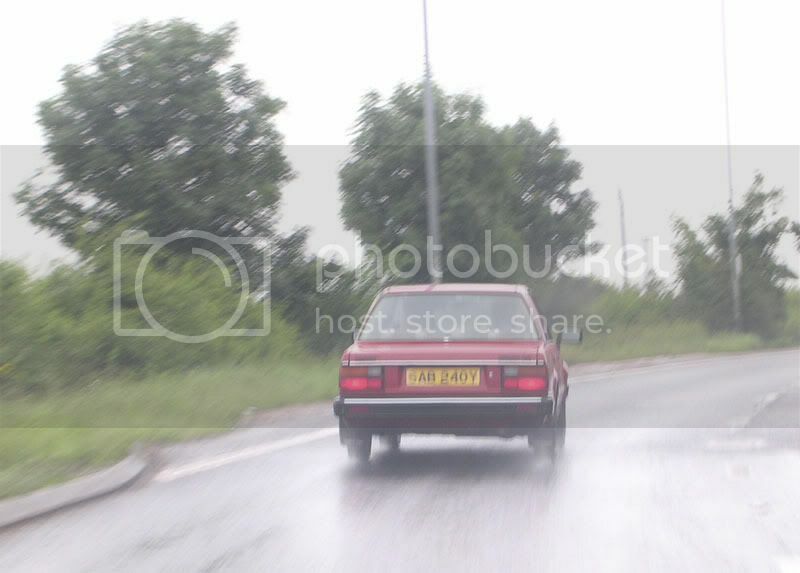 Following this, at one point a Mk1 Fiesta came the other way for an early-80's timewarp. Also saw a load of Karmann Ghias out in convoy in the rain. Very nice, looked freshly done. 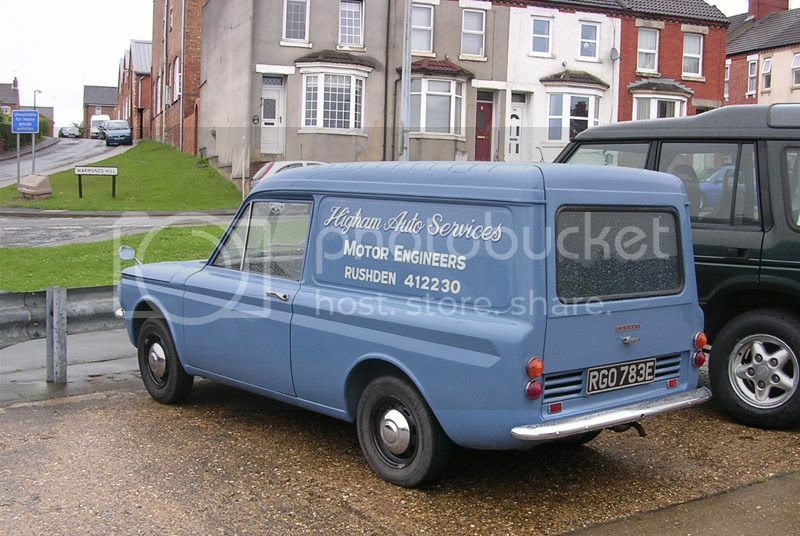 Commer badges on it (briefly discussed today on R-R). My final spot of the hol's. Nope, definitely steels! I had a good look at them, could see where they'd been widened and those little bits welded on.The Cavalier is at the Murco garage, on the RH side as you come into St Neots after the comically bendy road they've redone past the Rugby Club and before you get to town proper. 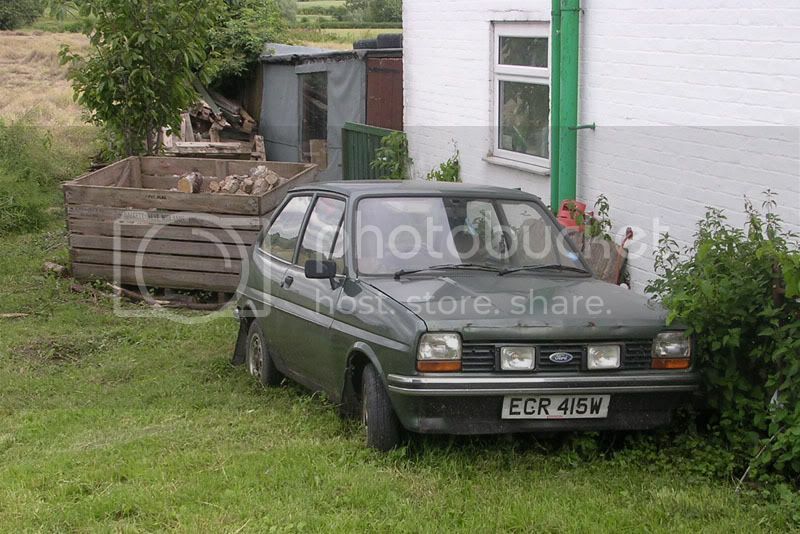 See if you can find the Ladas in town while you're there - I posted them last year, they're still there. 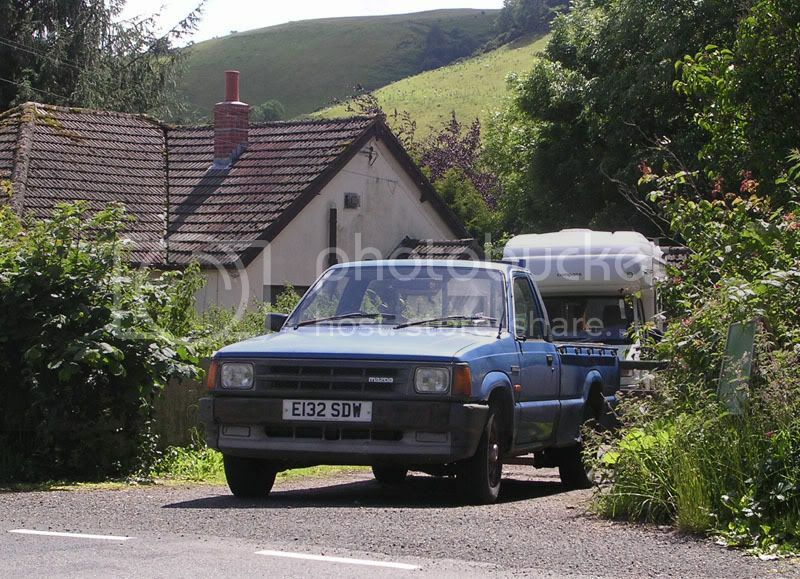 It's where I also saw the black Fiesta above.Top info on the Land Rover there Albert Ross! Great pics! 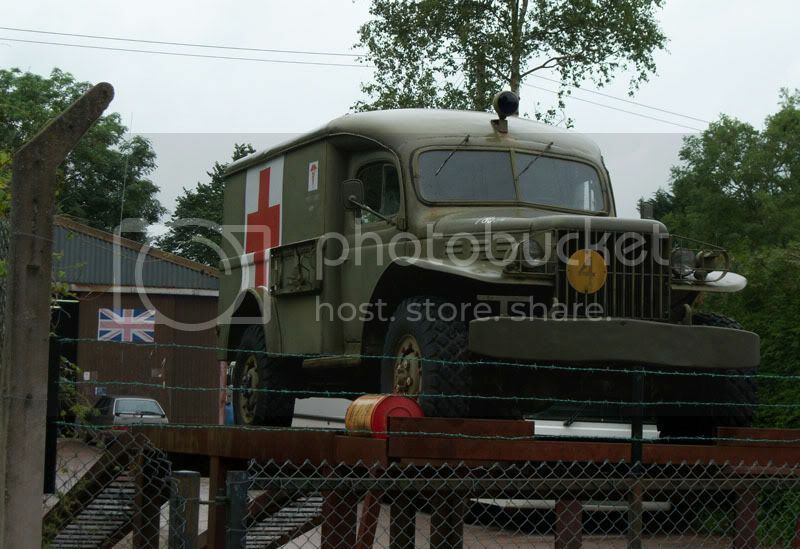 Isn't the military ambulance-thing a Dodge Power Wagon? Somebody even went to the trouble of putting the 'right' number on this one! 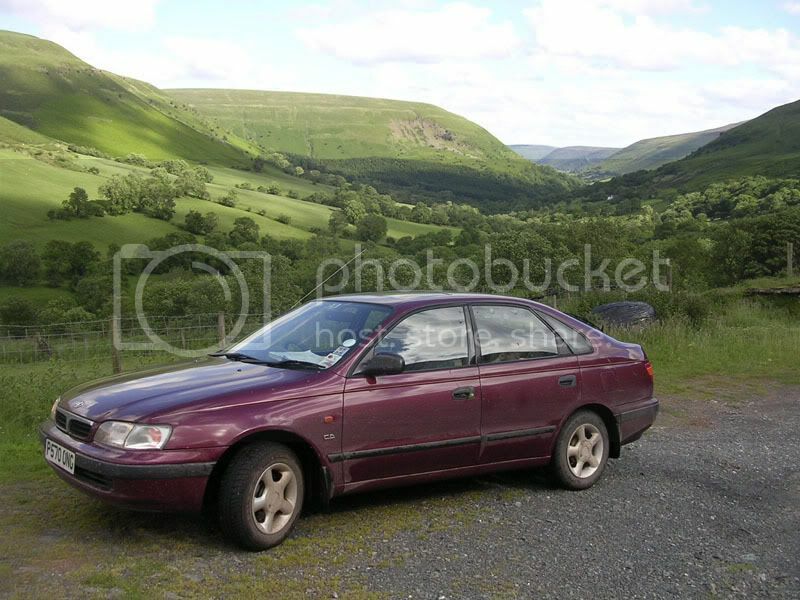 Thanks for posting this one up SL, it's the spit of the 2.0LX that Dad owned between 92 and 97. Not a fast machine by any means, think his must have been one of the last pre-catalyst examples. 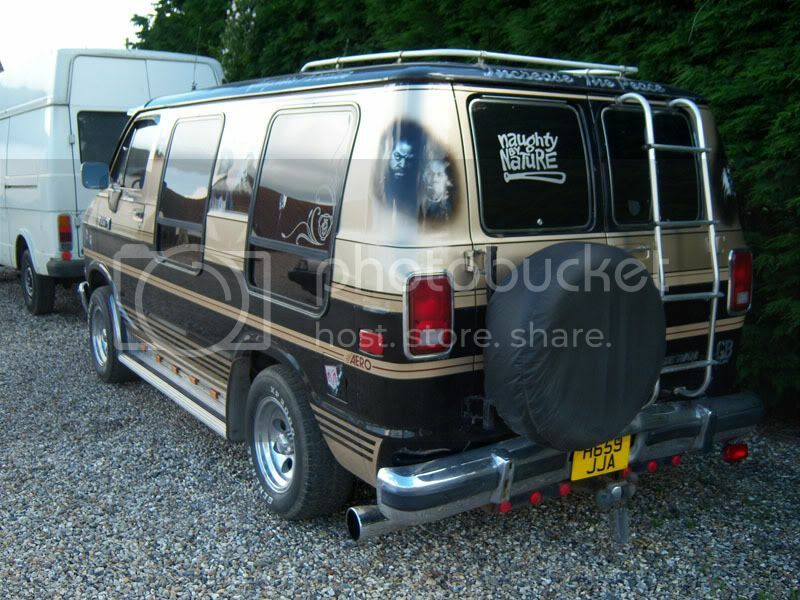 Cool van! 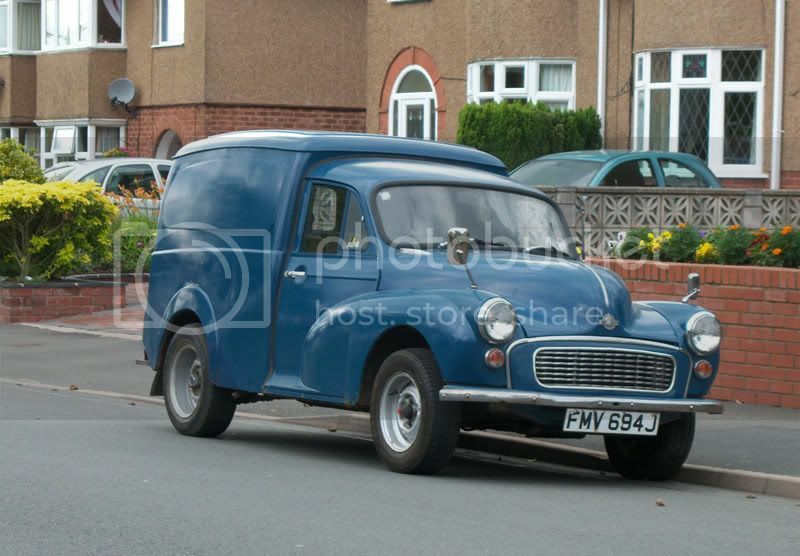 The number plate on Katie's Herald is FMV164J That Minor comes from South London originally then. 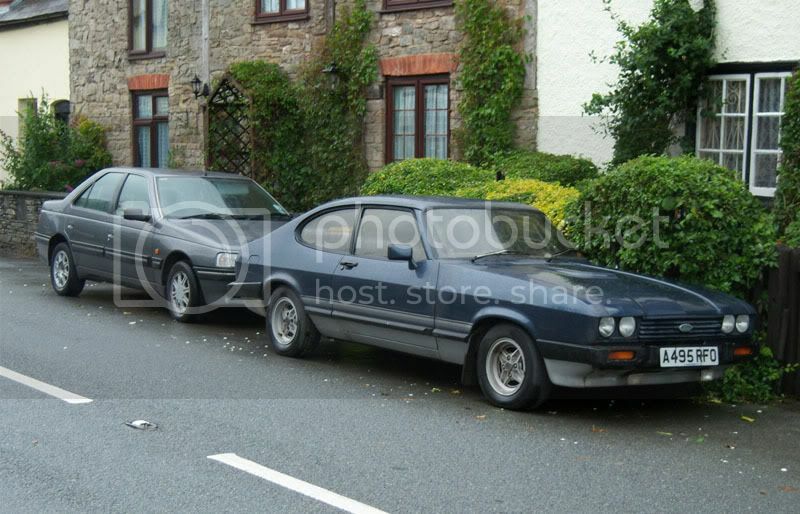 Looks like a MkI Passat in the background? Reginald Ritmo, you are QUITE WRONG. 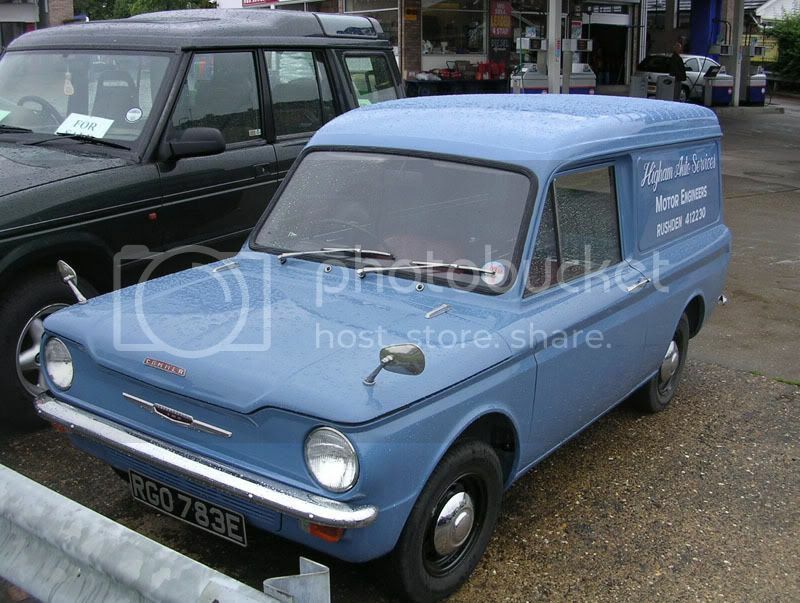 ]Deffo an owd Mitsubishi Sigma. Like the wuvvum/bo11ox turd-wagon.And unless they have introduced low-price short-haul flights from Norwich to Hereford, it would be a reasonable assumption that SL went BY car, VIA places of interest. It does happen! Passat, thatÃ¢â‚¬â„¢s a thought. Do they have a big chrome strip across the bonnet edge?I deem the journey to and from Herefordshire to be part of my holiday, hence the inclusion of St Neots. As I donÃ¢â‚¬â„¢t really like busy motorway travel I managed to get there using only one short stretch of the M1, and I love the stretch of road from Cambridge to Northampton via St Neots, Kimbolton and Higham Ferrers as it misses out lots of A14 (dullest road ever after the M11) and itÃ¢â‚¬â„¢s a route with happy memories for me as itÃ¢â‚¬â„¢s the way I always get to shows at Billing. I take it back - it is a Mitsubishi. I realised when I saw the barely noticeable indicators each side of the headlights. If the car was a different colour, I hopefully would have spotted them. It does look like a Passat though. Why don't manufacturers do this any more? I mean offer completely different lamp assemblies on different models, for no clearly good reason? I mean, the cost of producing 3 different faces must surely outweigh the cost of just putting the most expensive / best lights on them all. Crazy, but I LIKE IT. Even sporty models are made to look like they're trying to pretend not to be sporty, as if it's shameful to flaunt what it's got! 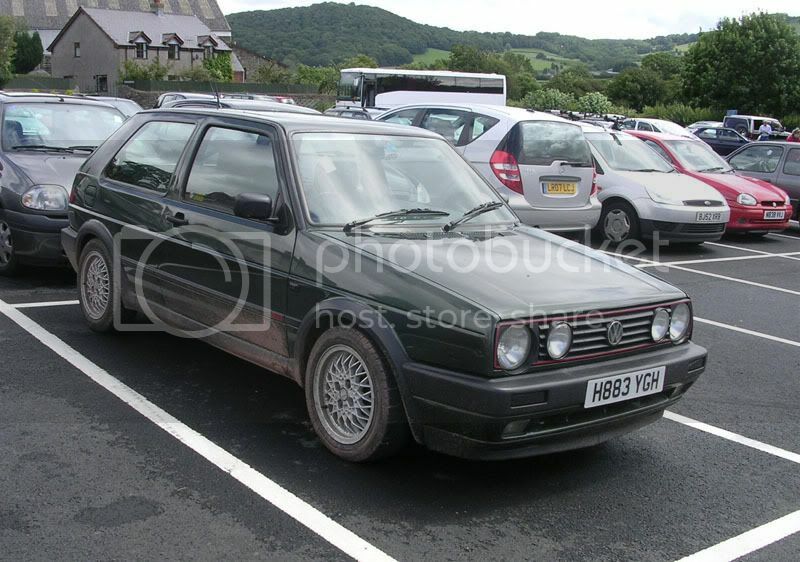 Take the MkIV Golf GTi - looks exactly the same as any other Golf bar the GTi badge. What's the point? If I've paid more for a sporty model, I want people to know what it can do! I think they've taken the hint now with the latest Golf, although I still don't like the half black rear bumper on every model - it's so not classy. Why don't manufacturers do this any more? I mean offer completely different lamp assemblies on different models, for no clearly good reason? I mean, the cost of producing 3 different faces must surely outweigh the cost of just putting the most expensive / best lights on them all. Crazy, but I LIKE IT. In a way donÃ¢â‚¬â„¢t some still do? VW offer different lights on GTiÃ¢â‚¬â„¢s donÃ¢â‚¬â„¢t they? OK, theyÃ¢â‚¬â„¢re just different units within the same aperture, but thatÃ¢â‚¬â„¢s all those old Passats have with a different grille. IÃ¢â‚¬â„¢ve had that same thought about the cost thing before, but I suppose the dealers need some sort of defeaturing on the lower-spec models to make the posher models seem worth aspiring to. All nonsense of course, and quite how they manage when you consider what a Ã¢â‚¬ËœbasicÃ¢â‚¬â„¢ LX-type model has I donÃ¢â‚¬â„¢t know.IÃ¢â‚¬â„¢ve taken advantage of that sort of thing on the 240K, which has round tail lights from a Japanese-spec car and recessed front light surrounds and mountings from an Australian model (same as Japan). It was all just a bolt-in thing that even a mechanical fool like me could handle. 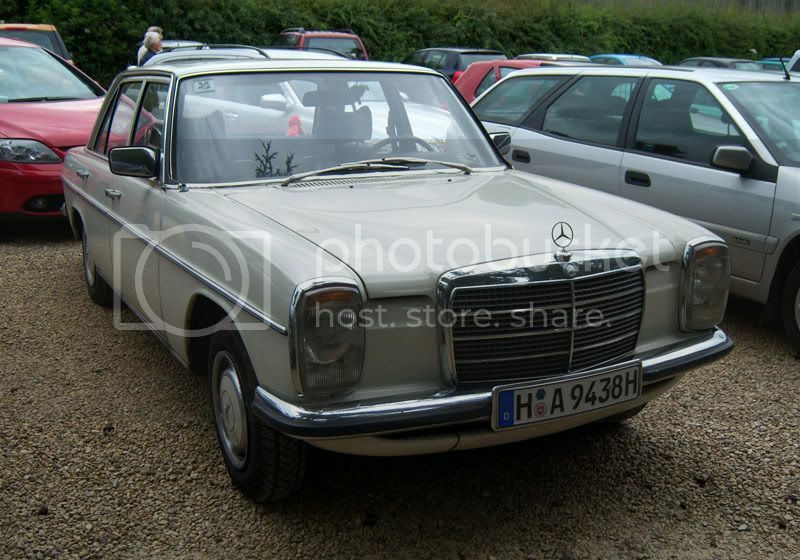 If only the rot was such an easy thing to sortÃ¢â‚¬Â¦WeÃ¢â‚¬â„¢ve discussed the hierarchy of round lights versus square/rectangular before Ã¢â‚¬â€œ on most the round ones came on lower spec cars, rectangular on posh models, but some (Audi 100 IIRC?) are the other way round. Twin round lights sometimes signify the sporty model.Glad my instinct on the Sigma was right! 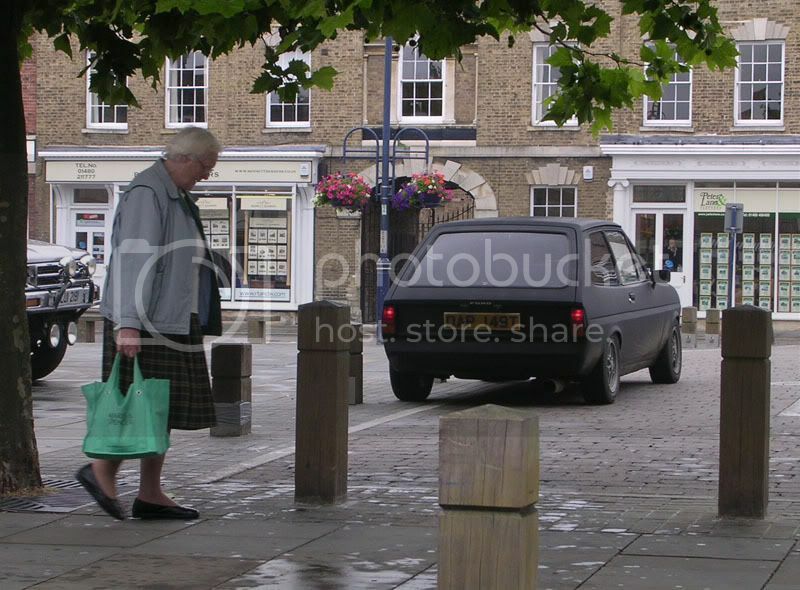 About the black Chevette estate, I recall these being used by the MoD (RAF?). I remember seeing decommissioned ones around which still had marker tape above the doors. 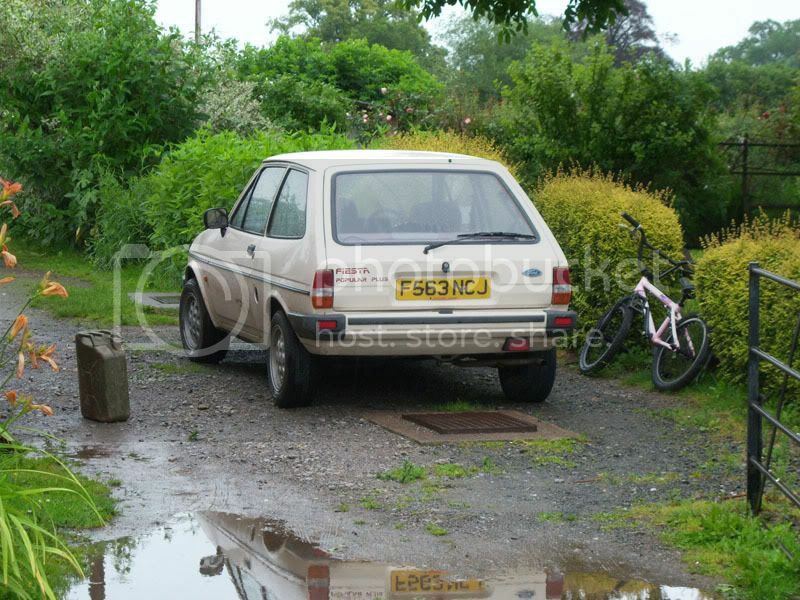 You're right SL, the Chevette estates were popular with the RAF.I'm pretty sure I remember seeing 2-door Mk2 Cavaliers in military service too - which weren't offered to the general public. I remember in the early 80s on visiting my Grandparents in Lincoln, seeing black Chevette estates on the A15 around RAF Scampton (home of the Dam Busters and currently the Red Arrows).They also had the military numberplates too, but I think this was stopped as it made them obvious terrorist targets. Also although AR confirmed the MoD background of the Land Rover that SL spotted, you can make out an RAF roundel under the paintwork next to the right indicator and sidelight, and also writing on the other side. Whether they are kosher markings of it's service days, I don't know. IÃ¢â‚¬â„¢ve taken advantage of that sort of thing on the 240K, which has round tail lights from a Japanese-spec car and recessed front light surrounds and mountings from an Australian model (same as Japan). It was all just a bolt-in thing that even a mechanical fool like me could handle. If only the rot was such an easy thing to sortÃ¢â‚¬Â¦WeÃ¢â‚¬â„¢ve discussed the hierarchy of round lights versus square/rectangular before Ã¢â‚¬â€œ on most the round ones came on lower spec cars, rectangular on posh models, but some (Audi 100 IIRC?) are the other way round. Twin round lights sometimes signify the sporty model.Glad my instinct on the Sigma was right! 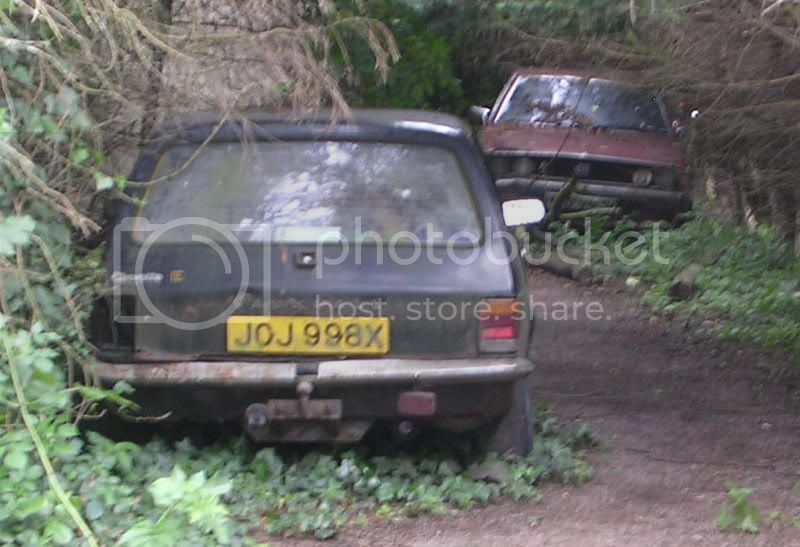 About the black Chevette estate, I recall these being used by the MoD (RAF?). I remember seeing decommissioned ones around which still had marker tape above the doors. You've put the round Japanese rear lights on your 240K? Just like the Japanese diescast models of it then. 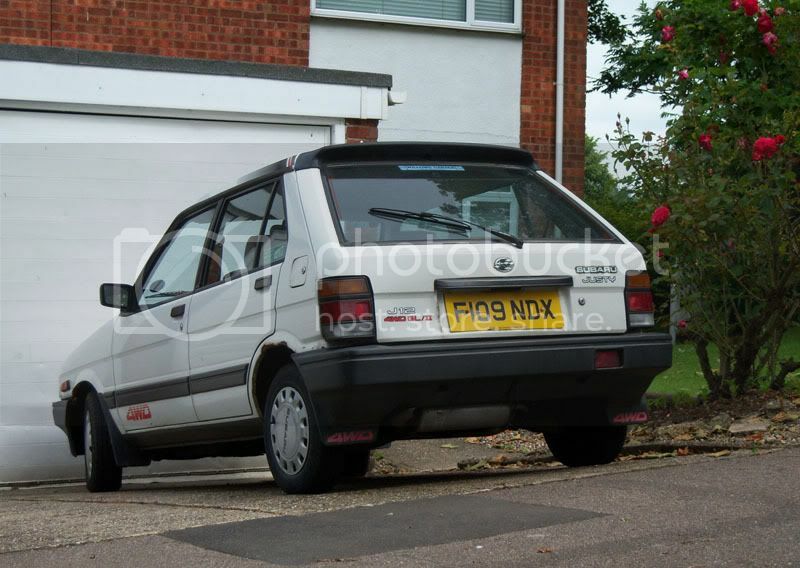 I actually prefered the larger UK spec rear lights but probably just because I'm used to seeing it that way. 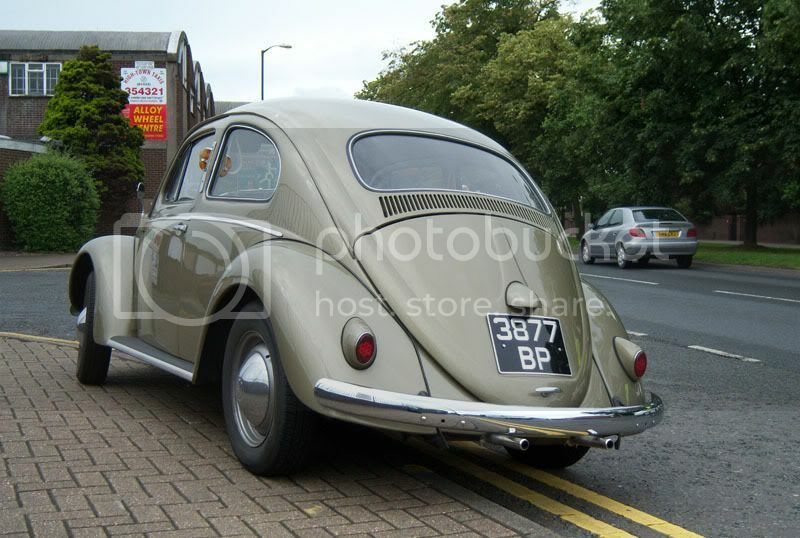 Have you got any rear shots of your cars? Esp the 240K & the Sigma!Yes, I think on VAG products, the higher spec cars get double round lights, i.e. the MkI Scirocco & MkI Passat facelift style, MkI Golf, MkII Golf. 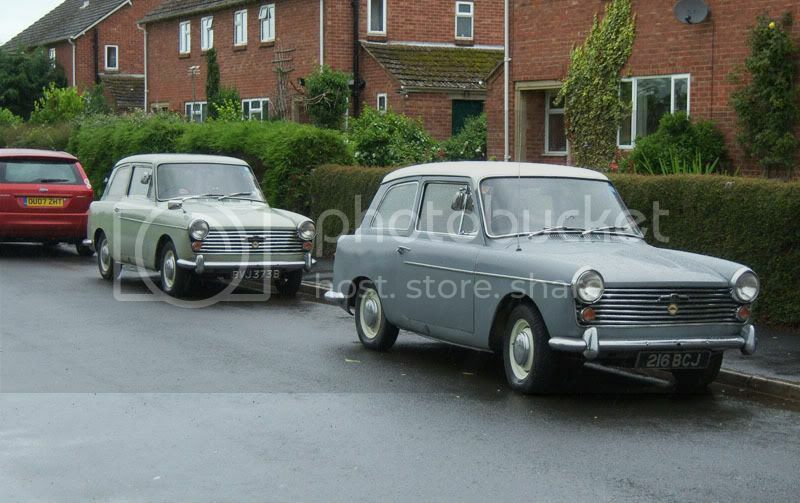 In the picture I posted of the 3 different styles of the earliest MkI Passat, I predict the single round light was lowest spec, then the oblong, then the double round....or conceivably it may move across the spec range in the order they are actually shown! All I know is I don't like the single light version as it makes it look too much like a MkI Golf.The R20 / R30 is a good example of the double round lights being on the higher spec car, although you could argue they're separate models.In reverse, the late 80s early 90s Jag XJ6 got double round ones which looked better than the more upmarket Daimler Sovereign rectangle lights.Amongst the pictures of cars seen at Bromley on the thread of the same name is pictured a pristine black X reg Chevette estate, as a point to note! So it was in use till 1997? That seems comparatively recently, although that's 10 yrs to mould in the undergrowth. I feel the rate that older vehicles have disappeared from the roads has accelerated in the last few years due to the obsession with everything new.Although will this mean a shite bonanza for us to spot in 15 - 20 yrs time? 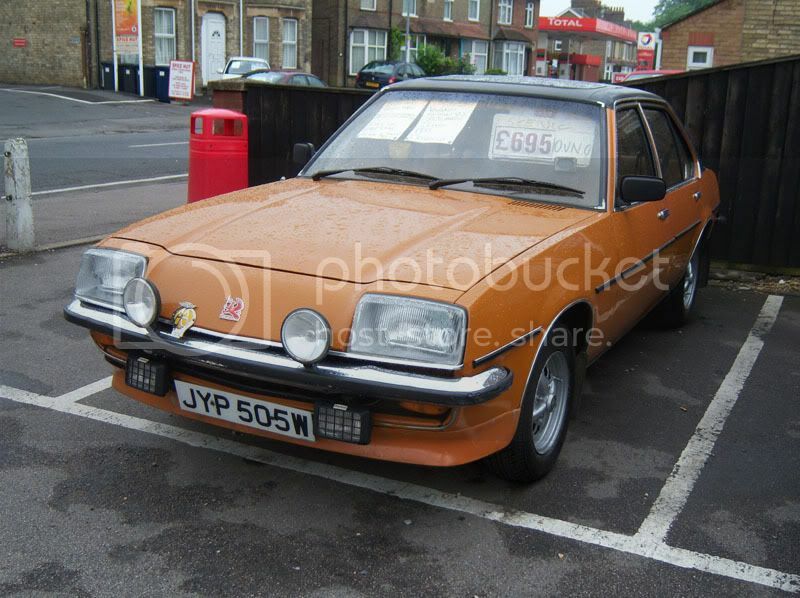 I hope so Although I still see a white T reg Chevette estate parked in Chichester from time to time. Ahh...Herefordshire!Lived there for 8 years as a teenager/young 'adult' - still think its one of the best places in the UK to live. Hereford itself suffers from the chav problems that afflict all the rural towns now, but less than larger places. Also since there was never any real 'industry' except that which was based on food/cider, it didn't suffer from the decline in that sector. The SAS still live just outside the town, and so there is a strong sympathy for the military in the town and county. 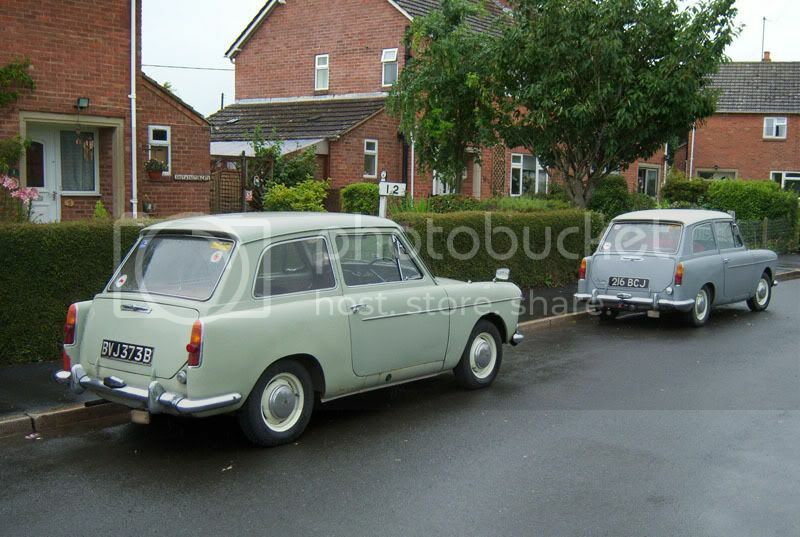 There was a big RAF supply base between Leominster and Hereford - closed down back in the mid 1990s - source of many basic black 2 dr estates such as Escorts and Chevettes.If those Austin A40s were in/around/near a village named 'Winforton' (nr Hay on Wye) then they (or similar) have been there since the late 80s.FO is a Herefordshire numberplate.Hope you enjoyed the holiday SL, despite the weather! Top notch. 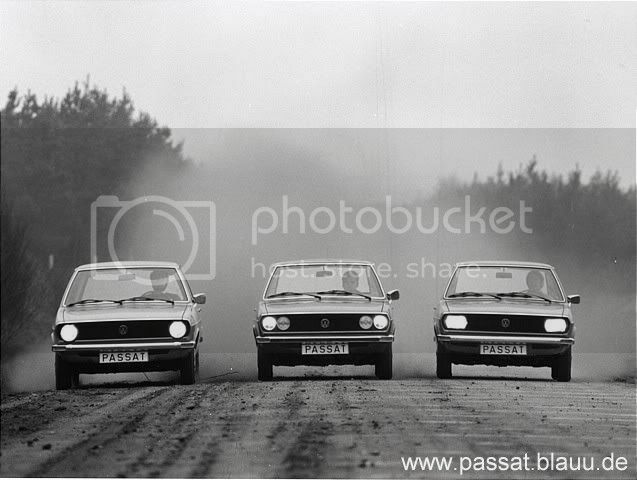 Loving the VW press Passat photo, headlights ablaze and kickin' up dust.RAF Chevette wagons eh? Yes indeed - my Tech Graphics teacher had one. 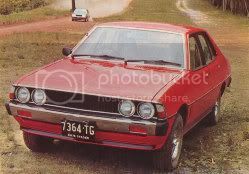 Unusual, 'cos a) it was on a C-plate (because they had stockpiled 'em I guess) and it was black, which I don't think was a factory Shuv colour.2-door Mk2 Cav saloons were on general release to Joe Public Pog, just only in 1.3 base and L guise, and only on X/Y reg (81 & 82 only). They sold about 68 I think.